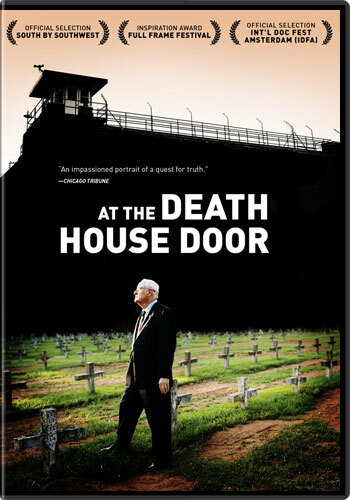 At the Death House Door follows the remarkable career journey of Carroll Pickett, who served 15 years as the death house chaplain to the infamous "Walls" prison unit in Huntsville, Texas. During that time he presided over 95 executions, including the very first lethal injection done anywhere in the world. After each execution, Pickett recorded an audiotape account of that fateful day. The film also tells the story of Carlos De Luna, a convict whose execution affected Pickett more than any other. Pickett firmly believed the man was innocent and two Chicago Tribune reporters turn up evidence that strongly suggests he was right. At the Death House Door marks the first time the filmmaking team of Steve James and Peter Gilbert have produced and directed a film together. They began their filmmaking partnership on the landmark Kartemquin documentary, Hoop Dreams, on which James was producer and director and Gilbert served as producer and director of photography. A Kartemquin Films production for the Independent Film Channel (IFC).